The Academy seems willing to self-destruct in its pursuit of improved ratings, but you appear to be so preoccupied with attracting an audience that doesn’t exist, that you’re alienating the only one you’re ever likely to have. The past twelve months have been frankly concerning for any Oscars fan. There was the ill-advised Best Popular Film idea that was swiftly canned, the Kevin Hart controversy, then the apparent decision to air without a host at all, and now the announcement that not all the awards will be aired during the live broadcast, with four being given out during the commercial breaks. The awards being cut are Best Film Editing, Best Cinematography, Best Makeup & Hairstyling and Best Live-Action Short. It’s also expected that not all the nominated songs will be performed. This entire fiasco is promoting your ceremony as something closer to an endurance exercise as opposed to a celebration of filmmaking. One would expect that The Academy was being run by someone who actually likes and appreciates films and filmmakers. One would assume someone who respects every element of the craft would be in charge of the most prestigious film event of the year. Alas, that doesn’t appear to be the case, so I feel it is my duty to inform you of several vital things before you lose your most loyal and vital audience. I am aware that there has been a drop in ratings in recent years, and you clearly feel that shortening the ceremony is the way to bring them back up again. I’m here to tell you how misguided that is. It shows a complete misunderstanding of why the ratings fell in the first place. The ratings are not low because the show is too long. The sad truth is that the only reason for the decreased viewership is that the general public just doesn’t care about the Oscars anymore. 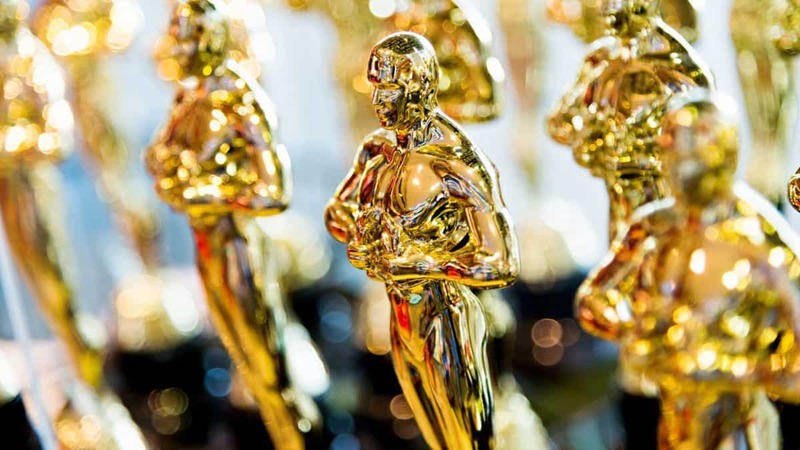 You seem to be aware that films have mass appeal but unaware that the Academy Awards do not. In this instance, a love of movies and an interest in the Oscars are not the same thing. Of course, most people would consider themselves to be a ‘film fan’ of some sort. Most of us enjoy going to the movies, grabbing some popcorn and being taken into another world. However, the most popular films are not necessarily the best films. The elements that go into making a film sell and those that go into making a film great are different things. You’ll often hear people say something along the lines of ‘the Oscars don’t represent what the public goes to see’ or ‘I’ve never heard of the films they’ve nominated’. Oscars are handed out on filmmaking merit. A film’s popularity has never been an effective measure of its quality. The amount of money a film makes means nothing. If you paid to see ‘Holmes & Watson’, all that proves is that you bought a ticket. It doesn’t prove that you enjoyed the film afterwards. The amount of people who go to see a film proves nothing more than an effective marketing campaign. Also, the simple truth is that if the public want the films they saw to be recognised simply because they saw it, then there is already a prize for that popularity. It’s called the box office. The films that the public saw are the ones that make the most money, are they not? Meanwhile, those smaller films made by artists with a passion for their craft and a unique voice often go unseen by the public, but that’s not because they are ‘less deserving’ of recognition. It’s because the mass audiences simply aren’t aware they exist, or they perhaps have no interest in something that’s a little different to what they might normally watch. This is the whole reason why Awards Season exists. It’s why it’s so important. It’s the one time of year that these films and filmmakers are given the recognition that they perhaps didn’t receive from the public. The mass audiences can have their multiplexes. The studios can have their blockbusters and their box office hits. The best filmmaking of the year can have the Oscars. These things can and should live in harmony, but letting popularity dictate the Academy Awards just to please the public and drive ratings is not only giving films perhaps unworthy success when they already have plenty of it, but it’s also yet another step back in recognizing the most innovative filmmaking out there. The further you get from your goal just ensures that these artists fade into greater irrelevance. If the public really wish to see their favourite blockbusters pick up awards, they have the People’s Choice Awards. That outlet already exists for them. The Oscars are for cinematic excellence, and for the sake of the art form itself, they simply must stay that way. This goes back to understanding why the rating dropped in the first place. As I said, it has nothing to do with the above. It has nothing to do with the ceremony not appeasing the public. I can assure you that the millions of people out there who didn’t care about the Oscars before… still don’t care. No-one is sitting at home, with zero interest in the awards and only a passive interest in filmmaking, seriously considering watching the ceremony because it’s three hours instead of four, and you nominated ‘Black Panther’ for Best Picture. There is one simple reason why the ceremony isn’t the ratings hit it was years ago. The Academy Awards is now a niche event. The Oscars have spent years awarding the greatest achievements in film. Years ago, there weren’t as many films being made, and major Hollywood studios weren’t as adverse to original ideas as they are now. Consequently, the films at the awards often correlated with those that the public saw. Times have changed. Hollywood now prefers to capitalise on franchise filmmaking that is anything but inspired or innovative, but instead makes a lot of cash. Talented artists are still out there creating interesting things, and the Academy has still been honouring them, it’s just that these things no longer go hand-in-hand, and subsequently the Oscars have lost their mainstream appeal. It’s all quite obvious, when you think about it. The Academy Awards is now a niche event for a niche audience, and there is nothing wrong with that. No-one who hasn’t tuned in before is going to tune in now because of these changes. You are simply at risk of losing the one audience you do have. Any regular Oscars viewer will tell you that they like it just the way it is. I know I speak for many others when I say that I want the ceremony to last four hours. I want as many cinematic montages as you can throw me. I want to see every winner give a speech (not cut off mid-sentence) and I want to see all the songs performed. What I don’t want is endless skits and ‘jokes’ that waste time at the expense of everything the ceremony is supposed to be about. Anybody who doesn’t agree with this is perhaps not the ‘film lover’ they once believed, and I’m fairly confident that they’re never watching the Oscars, whatever you do to convince them. They had no interest before and that likely hasn’t changed, but there are plenty of people being drawn away by your clear disrespect for the very craft you’re supposed to be honouring. Film is a collaborative medium, and while you clearly think very highly of the directors and actors, these people are nothing without their crew. You are diminishing the work of a great many artists, all of whom played an equally significant part in what they created. To cut out these awards, you are saying by default that some roles simply aren’t as important as the others, and are not worthy of their time in the spotlight. To hold this opinion is plainly ignorant. Cinematography is the very essence of cinema. It’s the first thing we see and feel, and editing is what gives films their rhythm and tone. While it is inherently wrong to cut any awards from the broadcast, it’s impossible to understand how you could have come to the conclusion that these two should be among the first to go. If you can’t see their significance in the art of filmmaking, then you shouldn’t be in charge of the Academy Awards. If you’re still not convinced, let me tell you this: you can make a film without actors, but it’s impossible to make one without a cinematographer or an editor. You cannot consider yourself a lover of film if you support relegating these awards to the commercials. It shows a lack of respect for the work that these artists put in. It’s also hypocritical to say your mission is ‘to promote films to a worldwide audience’, while cutting out the award for Best Cinematography, in a year in which three of the films nominated are foreign. Crazy as it seems, the problems go even deeper than that. Imagine what this does to young people today who dream of one day becoming a filmmaker. All you’re doing is discouraging anybody who wants to get into cinematography, editing, makeup or hairstyling. Are you forgetting how inspiring it is for new filmmakers to see short films winning awards? Apparently, you’re also not going to be airing all of the songs this year. It’s said that you’ll only be showing the nominees from ‘Black Panther’ and ‘A Star is Born’, because they were the most successful in the charts and have a greater outreach. I feel like I’m repeating myself, but the commercial success of a song simply does not matter. Songs are nominated because of how they were used within a dramatic context. The only people who wanted a shorter Oscars are those who don’t like them and never will, and yet it is their views being prioritised over the celebration of film itself. Can you not see how outrageous this all is? If you’re really that desperate to make the evening shorter, there are plenty of things you could’ve done before cutting the awards themselves. How about losing that hour you spend looking at dresses on the red carpet? How about stopping all the jokes and skits? Remember when Ellen DeGeneres hosted? She was a pretty good host by all accounts, but let’s not forget all the time she wasted. There was a whole segment in which everyone just started randomly eating pizza. How about Chris Rock? He sold his daughters’ Girl Scout cookies during the ceremony. What about the last two years that Jimmy Kimmel has hosted? Do you remember that awkward moment in which he brought a bunch of people in from a tour bus so that the celebrities could ‘interact with the norms’? These things waste a great deal of time and nobody cares about any of it. Nobody wants skits at the Oscars and, more often than not, they’re just awkward anyway. This is the Academy Awards, not Saturday Night Live. Do away with all that and you might be surprised by the time you save. It’ll probably be enough to hand out some more awards, don’t you think? The situation is even worse now that you apparently have no host whatsoever. How is it possible that you still don’t have time for these awards when you’ve had no issue in the past despite all the time the hosts have wasted? The Oscars are defined as ‘a set of awards for artistic and technical merit in the film industry, recognizing excellence in cinematic achievements.’ The Academy should be focusing solely on this objective, as opposed to moving further and further away from it for the sake of pandering to an audience that honestly couldn’t care less. The Academy Awards are supposed to give lesser known films a wider outreach, and honour those who played a part in creating them. It’s the only time all year that people talk about costume designers, production designers, cinematographers, editors, sound editors, sound mixers, etc. It’s the one time these people are actually acknowledged for the great work they’ve done. The Oscars have always been the one ceremony that represents nearly every member of the filmmaking process. These people have worked tirelessly to get to this point. Let them have their moment. You’re forgetting everything you’re supposed to represent just so that your show can end a few minutes sooner. Stop trying to create a ceremony for people who don’t respect what you’re celebrating. Stop trying to attract an audience that does not exist, and focus on keeping the one that does. How do you do this? You do this by getting back to your main priority: celebrating the year’s finest filmmaking achievements. Nothing else matters.